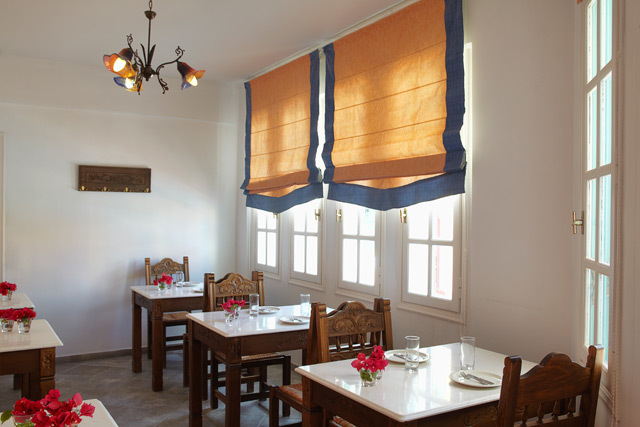 Hotel Nikolas is a traditional style hotel, in the traditional village of Karterados, a few minutes walk from the capital town, Fira. 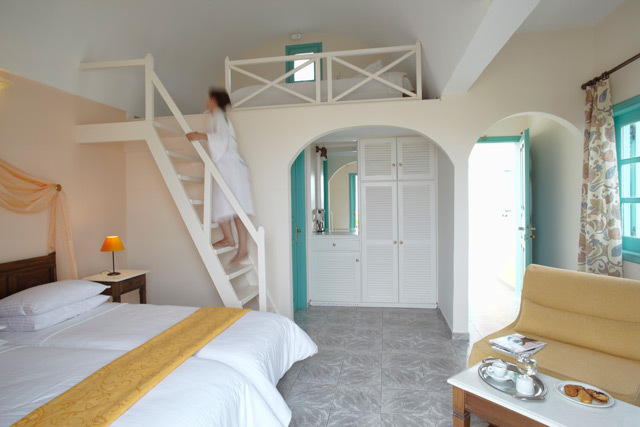 Located in a quiet and tranquil environment, off the central roads, away from any traffic, between narrow village lanes, but close to traditional tavernas, mini market and a bus service to various parts of the island, it offers a quiet and comfortable stay. 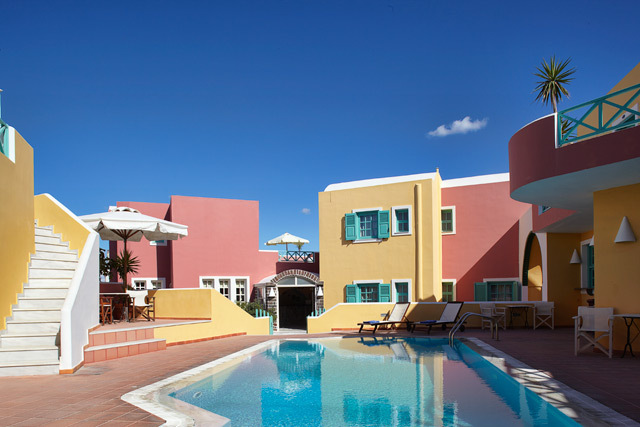 Nikolas Hotel is built in a quiet location, in Karterados village of Santorini. 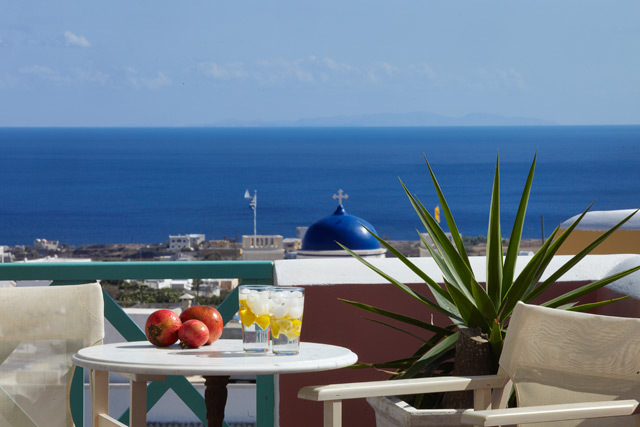 Karterados is a traditional settlement, about 1 km from Fira, the island�s capital. Most of the houses in Karterados are curved in the rocks and cannot be seen from the central road, as their roofs are at the level of the asphalt. The latest constructions are built on the hillside. Also the Hotels, the shops and the few taverns of the area are all along the central road. 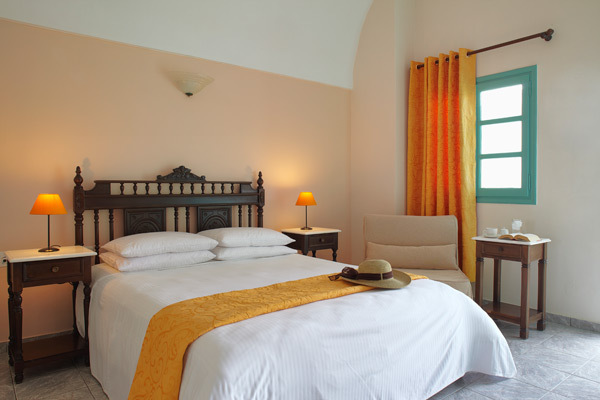 Nikolas is a hotel with high standard facilities. 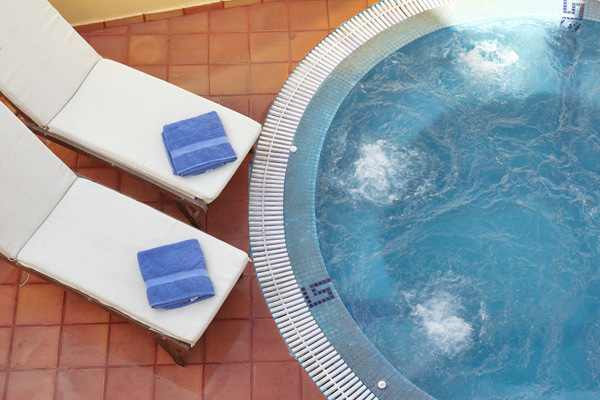 It has a full buffet breakfast room, a Jacuzzi, a large swimming pool with pool bar and pool terrace with beach beds and tables where you can enjoy a cool, refreshing drink. 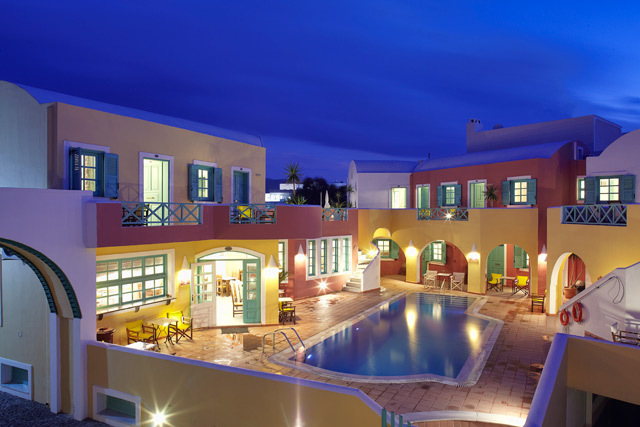 Nikolas is a hotel with high standard facilities. It has a full buffet breakfast room, a Jacuzzi, a large swimming pool with pool bar and pool terrace with beach beds and tables where you can enjoy a cool, refreshing drink.